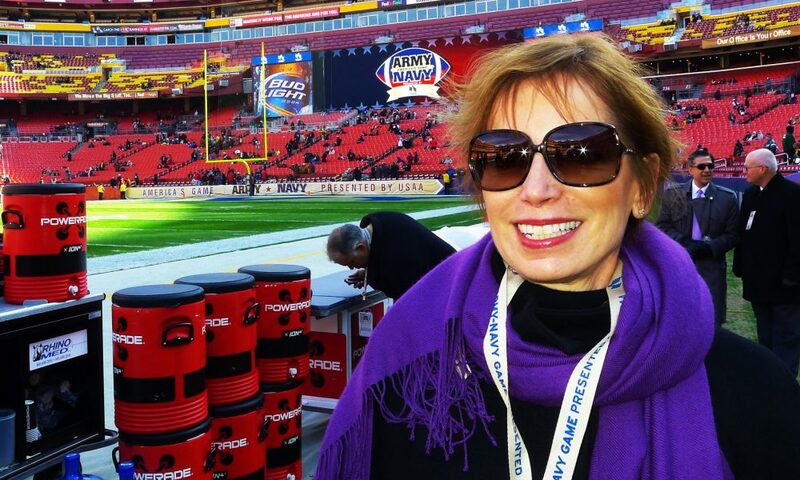 Today we’d like to introduce you to Elaine Schmidt. Elaine, can you briefly walk us through your story – how you started and how you got to where you are today. The title of my story should be: “Who Would Have Thought?”. I dedicated my working life to the education of public school children. Over the years, I was privileged to teach preschool special education, PreKindergarten, Kindergarten, Highly Gifted and Talented students as well as English Language Learners in three states and two countries. Eventually, I earned my doctorate in Educational Leadership and Policy Studies and moved into administration for the last 20 years of my career. The final portion of my professional working life was as the principal of a public Early Childhood School for at-risk children in Plano, Texas. It was a wonderful capstone on a career that I absolutely loved. I found it such a joy working alongside so many talented professionals and watching children learn and thrive. Then, I fell in love with Steven Alan Bennett and my life took a huge, new turn. We were living 300 miles apart at the time. 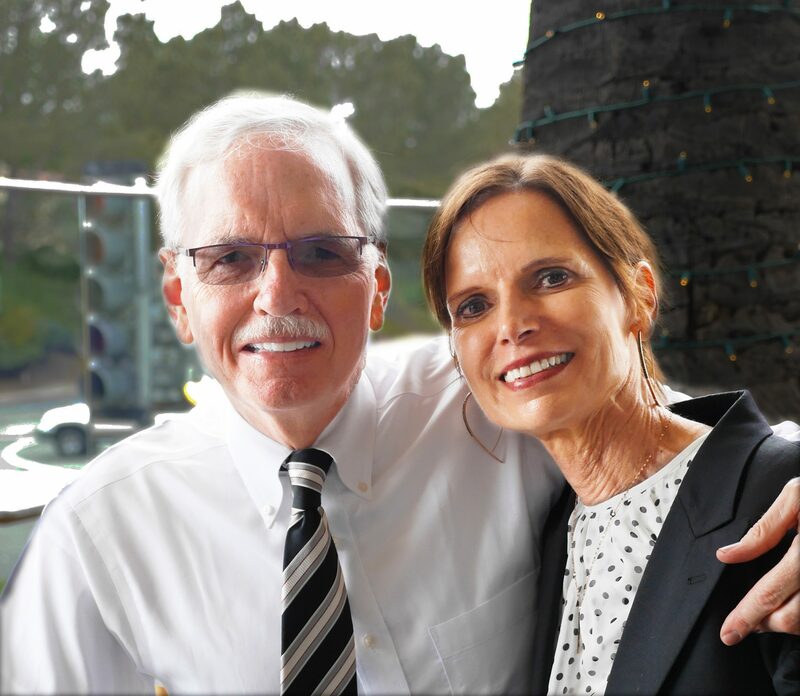 I decided, since we were going to get married, that I wanted to live in the same city, so I retired from my administrative position so I could take on new roles. I have to say that, at the time, what those roles were had not yet taken shape, but I knew that I was taking an exciting next step. 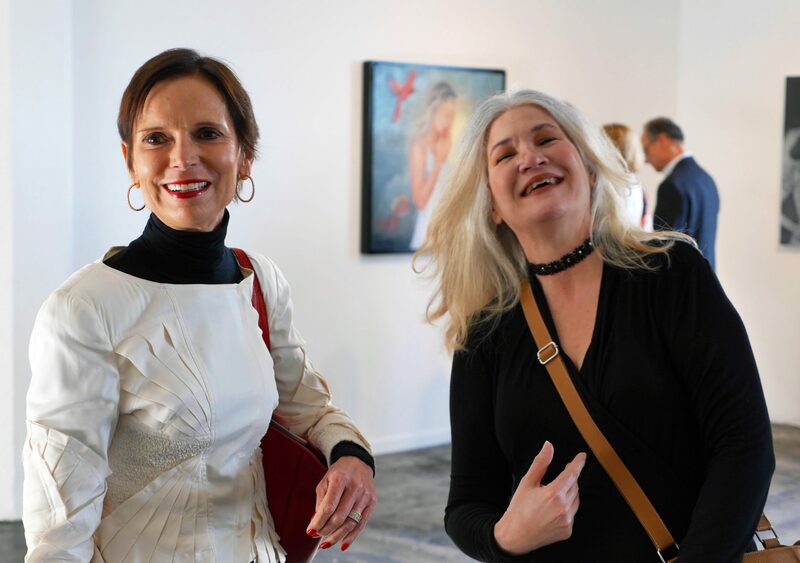 Attending different art exhibitions and visiting artists in their studios has allowed us to meet many interesting people and professionals in the arts. On one such trip, while attending Art Basel Miami, I was privileged to meet Didi Menendez, the Publisher of PoetsArtists Magazine. We struck up a conversation as we walked the gallery and we connected. 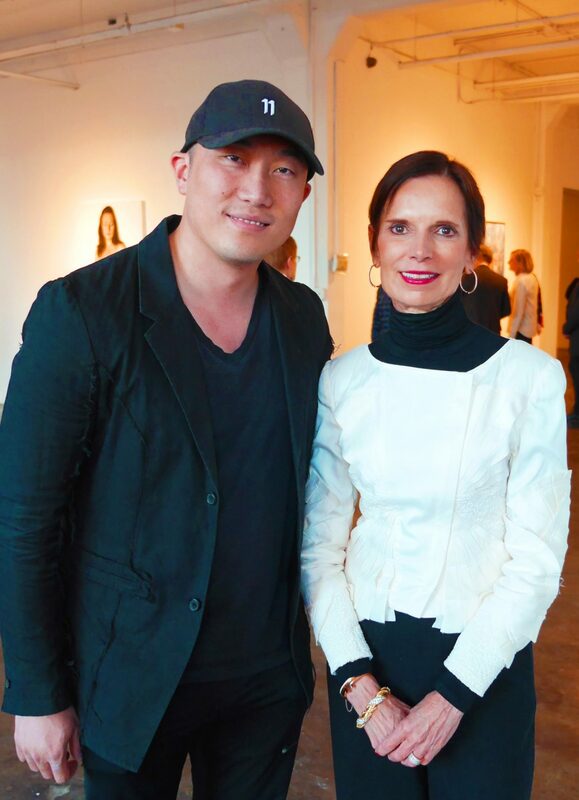 A few months later she called and asked if I would consider curating an art show at the Zhou B Art Center in Chicago. This was a wonderful new opportunity that I was delighted to accept. “Visions of Venus/Venus’ Visions” took place last Spring and was a marvelous creative opportunity and a huge success. Next, Steve and I are going to curate a show in 2019 titled “Secondary Meanings: Figural Diptychs,” also at the Zhou B Art Center. (For details, visit poetsandartists.com/submission-calls-1/2018/3/23/secondary-meanings-figural-diptychs). Several years ago, after a trip to New York to visit the studios of artists in our collection, Steve and I started to talk about doing “something” to address the existing gender inequity in “big art” as well as to find ways to promote figurative realism. These discussions eventually evolved into The Bennett Prize, an art prize we created to propel the careers of women figurative realist painters. It is a creation that has had a two-year gestation period. As everyone in Chicago knows, every road eventually has a pothole or two. Having said that, for me, the road has been easily passable. Steve and I have spent a great deal of time and thought on acquisitions for our collection. Our respective visions are contiguous but not 100 percent overlapping. I’m drawn more to romantic realism and strong narratives behind the paintings. Consequently, I like pictures of children, nurturance, kindness, emotional generosity and the kinder, gentler side of life. Steve, on the other hand, likes edgier work and loves paintings that are brilliantly executed (as do I) and off the wall. So, we spend a great deal of time negotiating the selection of paintings for our collection and where they will hang in our home. In addition to our collection, we are very dedicated to The Bennett Prize. After the initial decision to create The Prize, our next most important decision was to find the right institutions with whom to work. This is a first-of-its-kind art prize so there have been many details to be worked out. We invested a great deal of time and did our homework before selecting our collaborative partners. It was critical to us that they not only had the requisite capacity and skills but also that they”got” our vision and passion for promoting women realist painters. In establishing The Prize, there were all sorts of issues. For example, we discussed at length whether a competitor had to be a U. S. citizen or at least based in the U.S? The nationality of the artist wasn’t the issue, rather it was the logistics of customs and shipping of artworks across borders. The team eventually decided that all contestants must reside in the U.S. at least part time and all artwork must be shipped domestically within the U.S. to and from the sponsoring museum (the Muskegon Museum of Art in Michigan). We’re still not happy with the impact this rule has on international artists so after we’ go through the first iteration of The Prize, we’re going to readdress this question. By the way, the call for entries is currently underway and closes on September 28th, 2018. I’m certain issues will continue to arise as we move through the coming phases for the first time, but that is part of the fun, brainstorming with a high functioning team. Please tell us about The Bennett Prize. The Bennett Prize aims to spotlight women artists who are or seek to become full-time professional painters but have not yet achieved full professional recognition. 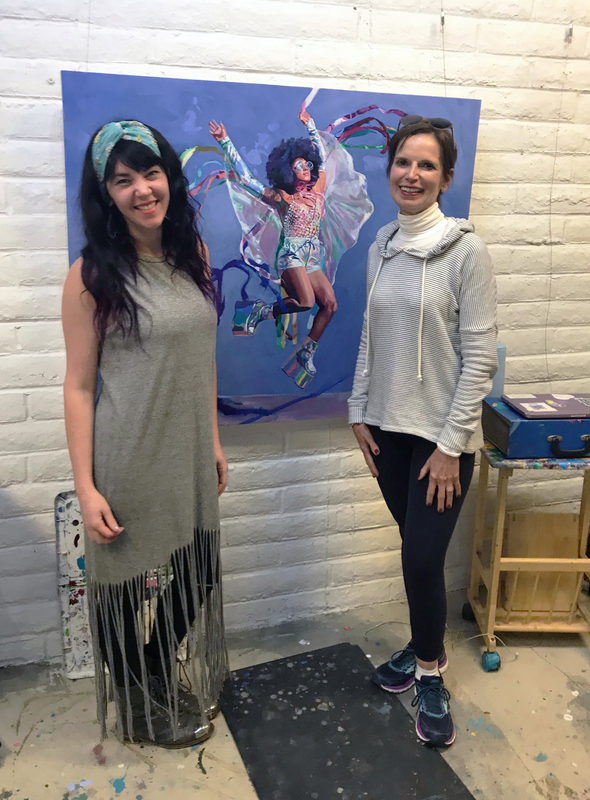 The winner of this national prize will create her own solo exhibition of figurative realist paintings, which will first be shown at the Muskegon Museum of Art (a short drive from Chicago!) and then will travel to various museums around the country. 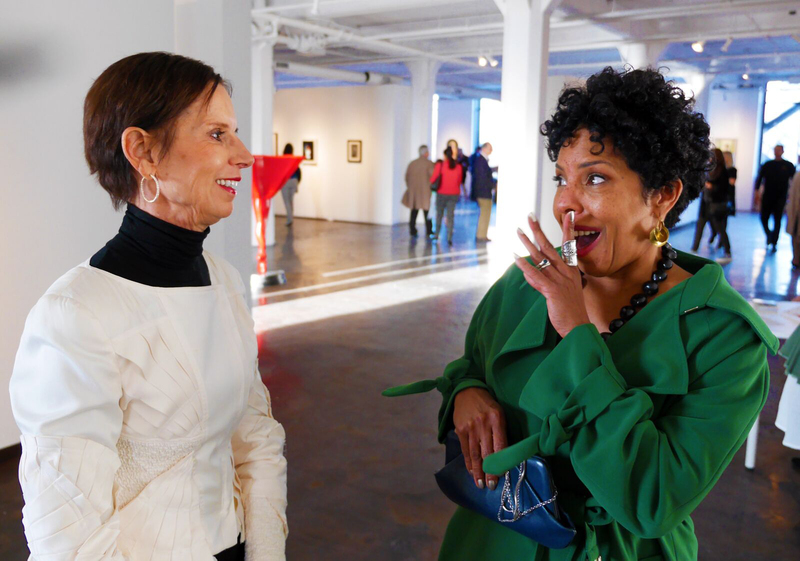 The winner will receive $25,000 annually for two years so she can devote the time necessary to mount the solo exhibition. The Prize has been endowed at The Pittsburgh Foundation to ensure that it will be awarded every two years in perpetuity. It is our hope that The Prize not only helps individual woman artists but also creates opportunities for the public to learn more about the creative vision of talented women painters working in the increasingly popular style of figurative realism. Women bring a different lens to the world than men and, while both are valid and needed, the women do not currently have the same level of representation, and they should! I feel honored to be able to promote the careers of talented women as well as take a small step in addressing the injustice of inequity. 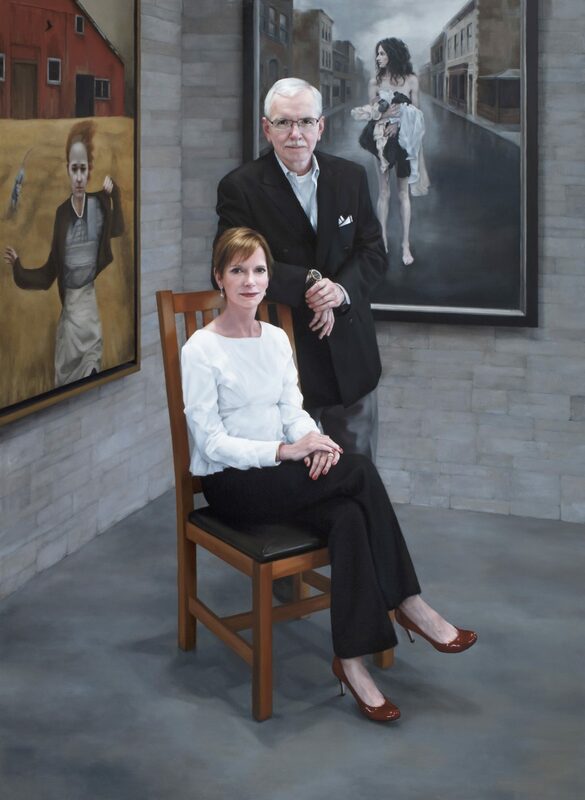 The first Bennett Prize exhibition, “Rising Voices: The Bennett Prize for Woman Figurative Realists” will run from May 2 – September 8 at the Muskegon Museum of Art, Muskegon, Michigan. (See: muskegonartmuseum.org). Actually, nothing. I’ve learned, perhaps the hard way, that one can take important learnings from whatever happens. At the time it is awful, hard, embarrassing or irritating, but upon reflection, there is typically always something to be learned or gained.